The most devastating injuries that result from a car accident are the ones that you will have to live with for the rest of your life. These can include major traumas such as spinal cord or brain injury or scarring left over from deep lacerations. Automobile accidents occur at an alarmingly high frequency, leaving drivers and passengers with an array of different injuries ranging from minor scrapes and cuts to permanent, long term disabilities. Even more alarming is the number of people who are injured as the result of another driver’s negligence, often times leading to a long lasting adverse effect on the quality of your life. The most devastating injuries that result from a car accident are the ones that you will have to live with for the rest of your life. These can include major traumas such as spinal cord or brain injury or scarring left over from deep lacerations. These types of permanent injury deserve special consideration when filing a claim for a car accident. Although scarring may not necessarily affect your ability to live as you did before the accident, it does affect the way you look and the way you feel about yourself. Large scars will increase the amount of your damages significantly, especially if they are visible on the neck or face. Our law firm has years of experience in handling car accidents that result in this type of permanent injury and will also help you in recovering the compensation you are entitled to. Scarring is weighted in personal injury claims by its size and location on the body. As previously mentioned, visible scars are weighted heavily, while small scars that are covered by clothing are not considered grave. Other factors prevail, such as when the scar is on a body part that flexes, such as your elbow or knee. Since scarring makes skin less flexible, it could cause slight immobility of joints. As experienced car accident attorneys who have dealt with all types of injuries, our firm will help to ensure that your scars are taken into consideration when deciding on a fair settlement. Back injuries from a car accident are another form of permanent injury that deserves special attention from our law firm. Even a minor injury to a disc or vertebrae can cause you to have flair ups of pain for years afterwards. Speak with one of our car accident attorneys immediately if you are being treated for a back injury as a result of a car accident. Even when your physician determines that the injury is resolved, it is important that he notes in your medical records the likelihood of pain recurring. This will help in proving that you have suffered a permanent injury. Brain injury: It is not uncommon for people to hit their head against the steering wheel, side windows or other hard surfaces in the car. When this happens, the victim can suffer head and skull damage. When the impact is severe, debilitating and permanent damage can result, which may include permanent brain damage, vision loss, memory loss, partial paralysis and other long term changes. Amputations: High speed crashes can severely injury the victim’s limbs. They may lose a leg, arm, finger or toe. Paralysis: Spinal cord injuries resulting from car accidents can lead to partial or complete paralysis. 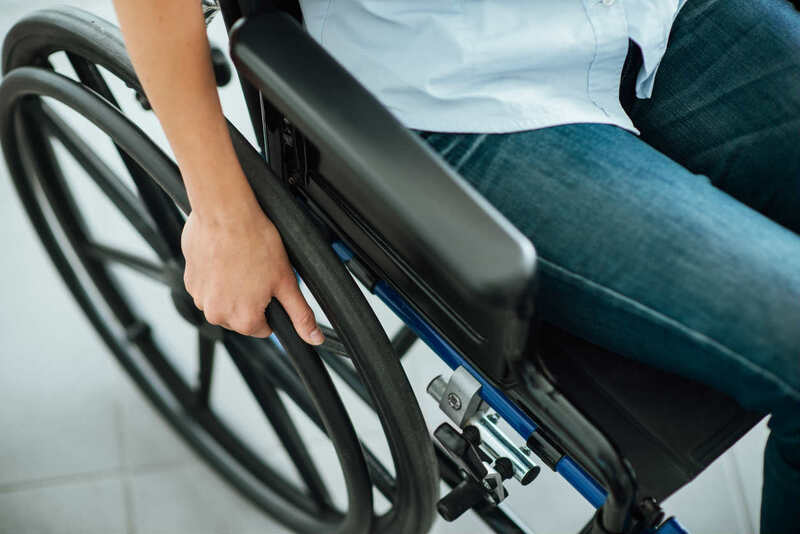 People can suffer quadriplegia or paraplegia in a car accident. Disfigurement: Car accidents can cause people to suffer lacerations, burn injuries and visible scars on their face or neck. This can permanently change the person’s appearance. Broken bones: Broken arms, feet, legs, ankles, wrist, ribs and skulls can occur in car accidents. Fractures and breaks are usually treated by resetting the broken bone with surgery and hardware. This is followed with a cast and then physical therapy. However, in some cases, complete mobility is never achieved even after prolonged treatment. When it comes to car accident-related permanent injuries, things can get quite complicated. Claims can be very difficult to calculate because medical bills are open ended, there is ongoing emotional trauma, future damages are undefined, and the future lost wages are not easily predictable. If you have been injured in a St. Louis car accident, it is important to ensure that any injuries that may impact your future are accounted for in your car accident claim. Contact our St. Louis injury attorneys today to discuss your case!